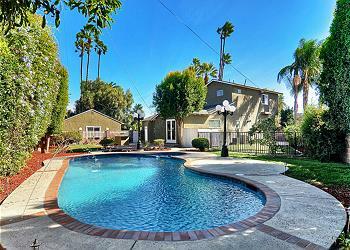 Take a magical vacation to Southern California with a private vacation rental home in Orange County. 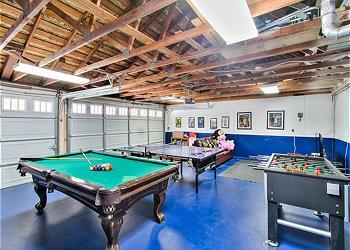 Rent a private home in Anaheim, near Disneyland, or on the beach in San Clemente or Huntington Beach. Valerie's Vacation Rentals manages large vacation homes and seaside cottages near exceptional Orange County attractions. We provide premium personal service and exceptional vacation homes. We are passionate about creating extraordinary travel experiences in Southern California. We enjoy hosting travelers from all over the world and sharing our local knowledge of California’s many amazing attractions. Our guests and homeowners experience outstanding vacation services and premier property management. Valerie’s Vacation Rentals offers an outstanding selection of large vacation homes that are perfect for big groups and family vacations to Disneyland and the beaches of Orange County. 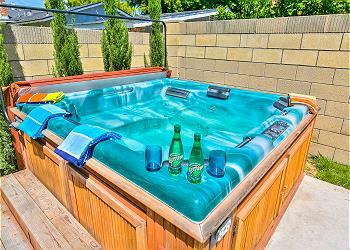 Many of our Southern California vacation rentals sleep more than 10 people and our vacation homes with private pools are the perfect place for our guests to relax and socialize. Enjoy the golden sunshine of Southern California! 350-acre public park with a picnic facility, four playgrounds, nature center, fishing, Frisbee golf, horseshoes, viewpoint, lakes, equestrian trails, dog park, exercise course, restrooms, three restaurants, library and senior center. Disney and Pixar stories and characters come to life in 7 exciting lands at California Adventure. Attractions, entertainment and dining bring these stories to life. Pageant of the Masters is an annual production by the Festival of Arts - Laguna Beach. Watch as real people pose to look exactly like famous works of arts in this display of living pictures. The production takes place in an outdoor amphitheater with a live orchestra and narration, beautiful sets and more. "Free your inner farmer" at the OC Fair, mid-July through mid-August in Costa Mesa. There's a carnival, all varieties of food, exhibits, an action sports arena, live entertainment, concerts every night, and competitions for area gardeners, bakers, artists, and more!